Can you throw a really good pirate themed party or play date? With tales of hidden treasure maps and adventures, most kids and adults would love to be a pirate for the day! Today we bring you some awesome ideas to make your Talk Like a Pirate Day worth a more than pirate’s treasure chest! We have been interested in Talk Like a Pirate Day (19th September) for a few years now and like to get the kids involved with some treasure hunting and lots of creative activities too. This year we are going to make some pirate flags to decorate our home and garden. One of the most well known pirate flags is the Jolly Roger. 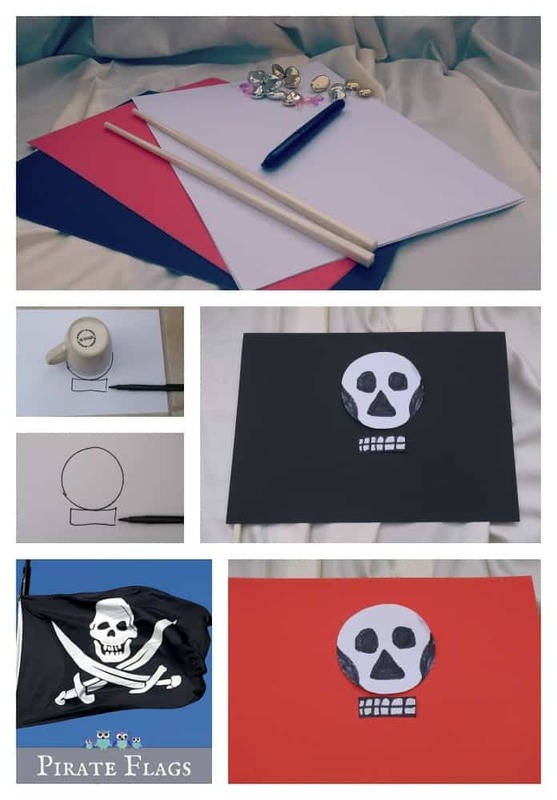 This black flag can have a variety of designs such as a skull and cross bones, a skull with drawn swords, a skull or skeleton or just a plain black background. The Jolly Roger would be hoisted to let other trade ships know they were under attack, or to let other pirate ships know that they too were a pirate ship. The colour of the flags are important too. 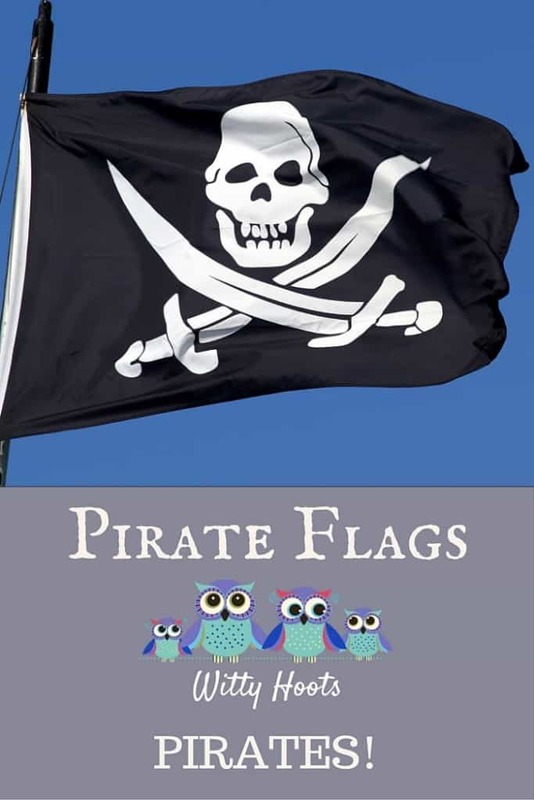 It is believed that the black flag would indicate that the pirates where after treasure or goods and would show some mercy if the ship surrendered. A red flag would show that the pirates would show no mercy hence the blood red flag. The name of the Jolly Roger is unclear but may be a nick name for the ‘grinning skull’ or be a reference to the red flag or the ‘Jolie Rouge’ (Jolly Red) by French pirates! Other pirate flags were flown showing a particular design belonging to a certain pirate captain. This included famous pirates such as Edward ‘Blackbeard’ Teach and Henry ‘Long Ben’ Avery as well as some women pirates such as Anne Bonney and Mary Read! A4 white and the red or black paper, glue, scissors, cup, black or red marker pen and sticky tape. Place the cup onto the white paper and draw around it. Do this two or three times. Cut around the circles with the scissors. Next cut out some white rectangles which can fit under the circle as a skull’s jaw. Take the red or black A4 paper and glue the white circle onto the centre of the paper. Then leave a small gap and glue the rectangle underneath. Wait until the glue has dried. Then draw the teeth, eye sockets and an upside down triangle for a nose with marker pen. Wrap one end around a stick and secure with sticky tape. You now have your own pirate flag to wave! A4 black or red paper, white paint, sponge cut into a circle and a rectangle, pencil, a cup, a black or red marker pen, a stick and some sticky tape. Take the red or black paper and place onto some newspaper. Place the cup in the centre of the paper and draw around it with the pencil. Next dip the circular sponge into the paint and press onto the centre of the drawn circle. Add more until the whole of the circle is covered with paint. Take the rectangular sponge and dip it into the paint. Place this below the white circle as the jaw. Below the skull use the rectangular sponge to make the two crossed bones and finish off the ends of the ‘bones’ with two dabs of the circular sponge. Let the flag dry and add teeth and eyes if needed. Wrap one end around a stick and secure with sticky tape. Now you have another pirate flag! A4 red or black paper, paints, glue, sticks, glitter, marker pens, scissors, feathers or what ever other craft materials you like! Take a piece of A4 paper and just go wild! Many of the pirate captains had flags to scare others, or showed their favourite things to do. 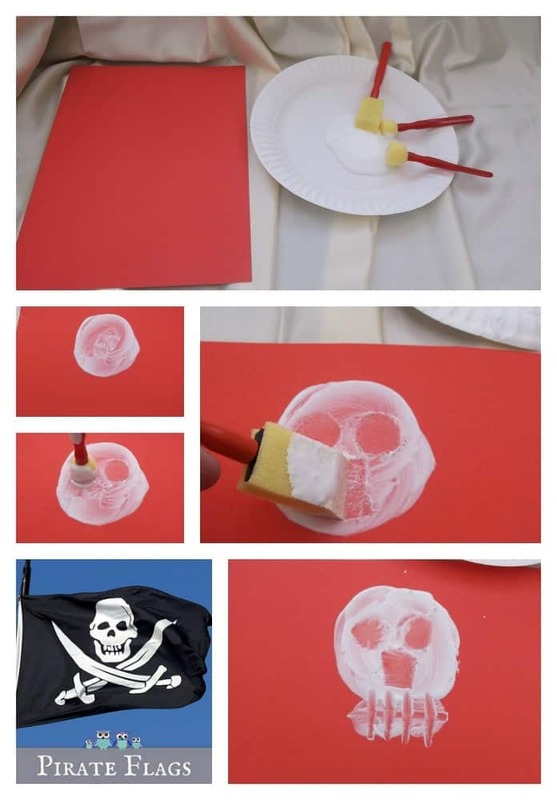 You could make a pirate flag showing a scary face, fairy wings or a cat! Why not try making a flag that shows your favourite game or sport such as a soccer ball or some playing cards! 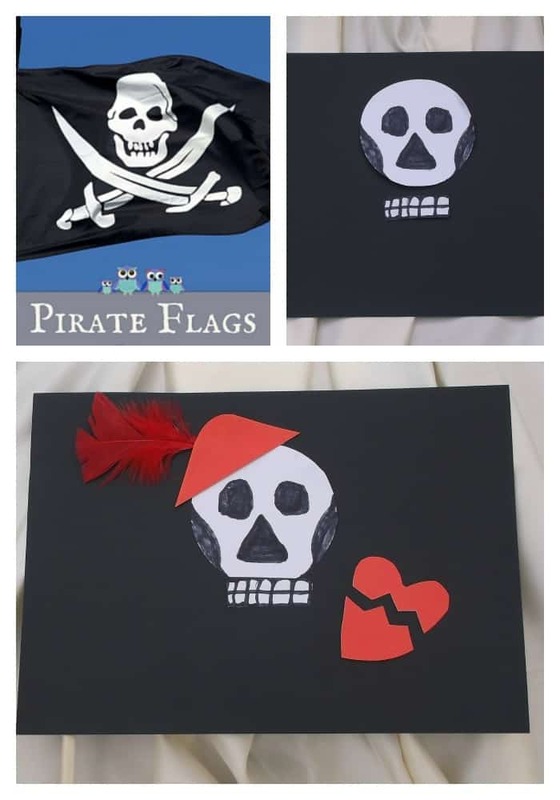 We hope that you have enjoyed our Pirate Flag Ideas as much as we enjoyed making them! We are taking part in PIRATES! 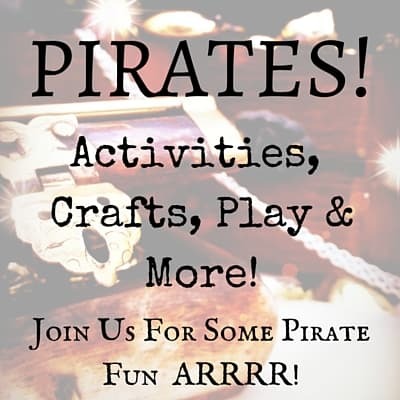 This is a fantastic global blog hop organised by Peakle Pie which is packed full of everything to do with a pirate theme! Check out the links below for more Pirate ideas and fun!